This buyer is a boutique law firm that is seeking 3,500 to 8,000 feet as a long-term home for its burgeoning practice. Preference is for a downtown Coral Gables or Coral Way location, but areas near may be acceptable, as well. Also seeks on-site parking, 10 to 20 spaces, if possible. If you own a property you think could be of interest to this buyer, contact me. Note that even if it is not a fit for this purchaser, we may be able to find another buyer. Note: This is the profile of one of many commercial real estate buyers with which we are actively working. Before we publish such a buyer profile, we consider whether a buyer is ready, willing, and able to close at market value on suitable properties. This is the case with this buyer.If you have a property you are interested in selling that you think could be of interest to this buyer, contact me today. 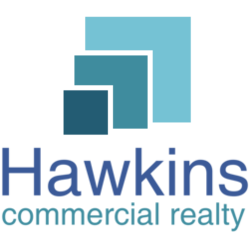 This "Boutique Law Firm Seeks Coral Gables or Coral Way Location | Miami, Florida Commercial Property Buyer Profile" page displays information about a buyer we are working with in the Miami, Florida area to secure particular types of commercial properties (commercial real estate).